It's been raining like crazy these past few days in the city. I would say that I'm not the best fan of the rainy season even though my birth month is July which means a whole lot of rain. Luckily these days, I come armed with the right clothes for the season. 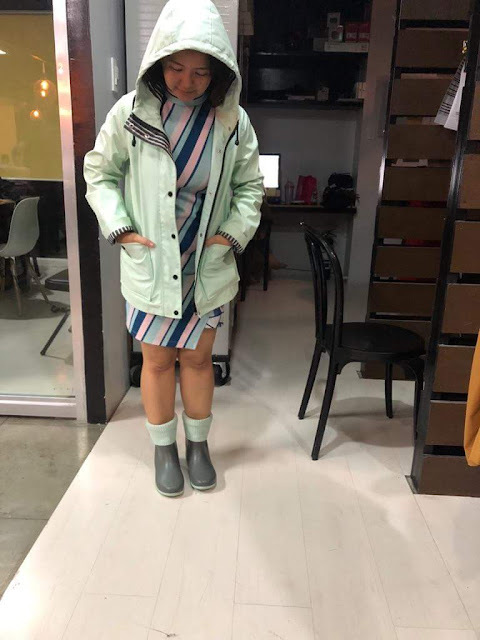 Seen here wearing my favorite pastel green parka from Topshop and pastel green Eton from Butterfly Twists. I swear it's only a coincidence that my boots match my jacket. I bought them on two separate occasions and did not think about how the color would match the other. Of course in this weather, a parka is a good idea because water slides off of it - my arms are protected from wearing a wet outfit which usually happens even when I'm holding an umbrella. As for my boots, well with non stop rains, there's usually a little bit of flooding involved so my pair comes in handy for keeping my feet warm and dry! In other news, recently celebrated my birthday with a dinner out with some friends. I'm grateful to be 33 and to be surrounded by people I care about. 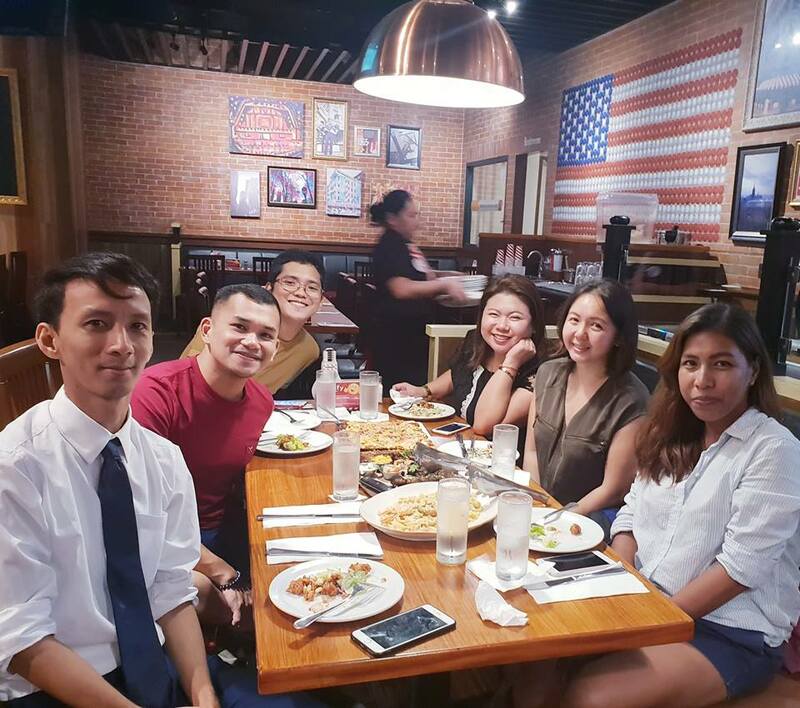 It was a pretty low key celebration compared to my previous years when I threw a videoke party and a murder mystery party. Though I did feel a slight twinge of sadness remembering last year and how excited I was to celebrate it. It was a year full of possibilities for me both in the career and romance department. A year later and I realized the career change I chose was not exactly the best move to make and the guy I thought could be a new love interest - well that's gone kaput too since we had a falling out earlier this year. My sadness is more brought about by the latter but I am slowly coming to terms with what happened. Anyway if you feel like getting to know me, you might want to read my last confession where I shared 33 things about me. I started re-reading LA Candy by Lauren Conrad which I started way back in 2011 but never got to finish as I was just reading it in Powerbooks but then just recently I saw that Dan Brown's latest Robert Langdon novel is now available on paperback so I had to get it. Lucky me, I got it on a discount since National Bookstore is having a sale which runs 'til July 31! I know this series has been running for awhile now (I think Season 8 now?) but I've only just begun since I saw that it's finally available on Netflix! Looks intriguing and exciting! July babies are free this month so I finally convinced my friends to go. It's a real awesome place to take photos worth sharing on Instagram. I took a lot! Will share those on the blog soon. Meanwhile, do checkout my IG for some of the photos I've already shared.